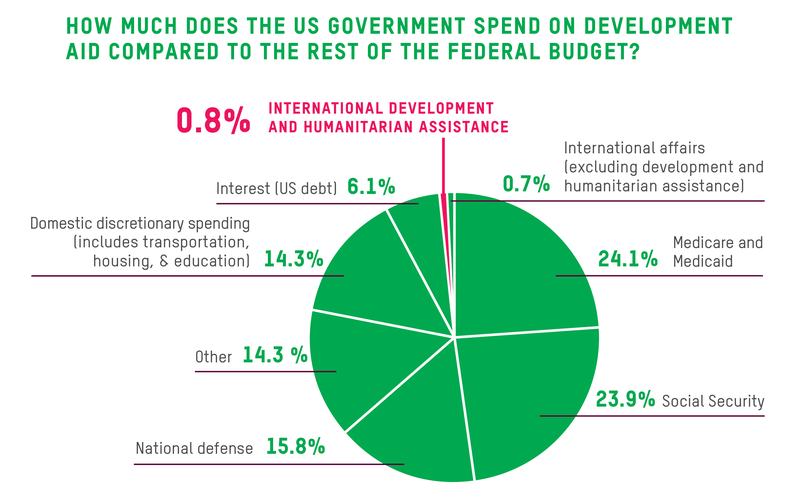 How much of the United States federal budget goes to foreign aid? When the Kaiser Family Foundation asked that question in a 2015 poll, nearly a fifth of people couldn’t even venture to guess. Of those who answered, most said between 5 and 51 percent, and 10 percent of those thought we give away half of our nearly $3.8 trillion federal budget to other nations. In reality, foreign assistance makes up less than 1 percent of the U.S. budget. Another 1 percent or so funds the State Department. In comparison, America spends nearly five times as much on interest on our national debt. What do Americans get in return for foreign assistance? A lot. For starters, we are able to stop deadly diseases before they reach our shores, promote American exports, counter violent extremism, combat climate change and Russian hacking, and support our overseas embassies and strategic allies across the world. The men and women of the State Department and USAID deserve our full commitment to their safety and to providing the tools they need to advance our interests globally. Next, we make a tangible, lasting difference in the lives of billions of people. With funding from USAID and other aid agencies, organizations such as Pact, an international development nonprofit on whose board I sit, help people around the world to live healthier, safer and more financially and physically secure lives. As we face global challenges such as the refugee crisis and violent extremism, America’s leadership has never been more vital in the world. Consider PEPFAR (the President's Emergency Plan for AIDS Relief), a U.S. effort launched by President George W. Bush in 2003 to try to end the global HIV epidemic. Although it is perennially threatened by budget cuts, as of 2016, it had helped provide: antiretroviral treatment for 11.5 million people, care for 6 million orphans and vulnerable children, training for 220,000 new health care workers and testing and counseling for 74 million people, including 11.5 million pregnant women. We’ve saved millions of lives and millions of dollars at the same time. Preventing disease is a lot cheaper than treating it. But direct recipients of such aid are not the only beneficiaries. You and I are, too. Many aid organizations, including Pact, focus on systemic, sustainable change, rather than one-time aid. This means we are creating stable, resilient communities around the world, which makes all of us safer. And then there are the economic benefits. 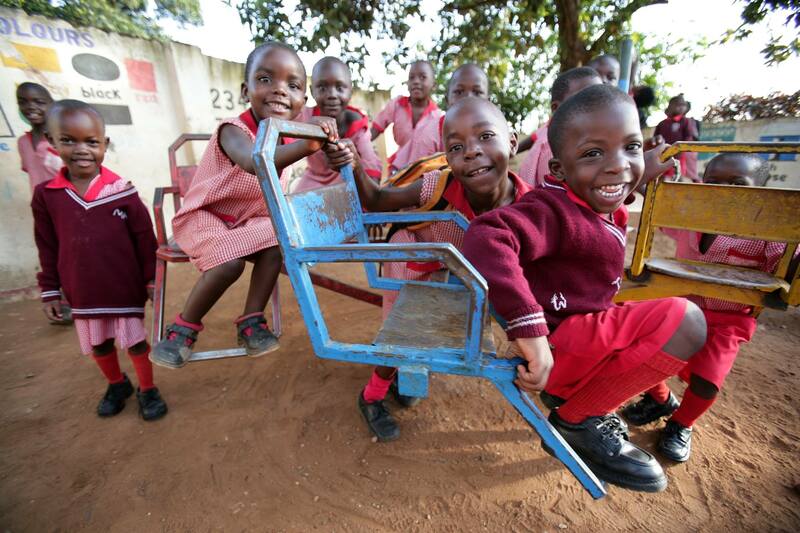 South Korea, Japan, Ghana, Kenya, Vietnam and Germany all once depended on U.S. aid. Now each is playing a major role in the global economy and providing stable, profitable markets for companies such as Coca-Cola, Apple and Microsoft. Visit any of these places and you’ll find a profusion of American products and brands. Companies from these countries, in turn, are investing in America, creating high-paying jobs from the Rust Belt to the Deep South. As of 2015, cumulative foreign direct investment in the U.S. totaled $3.1 trillion. Among the largest investors are the United Kingdom, Japan, Germany and South Korea — all countries that rebuilt after war with America’s financial support. In 1736, when Philadelphia was threatened by fire, Benjamin Franklin wisely proclaimed, “An ounce of prevention is worth a pound of cure.” American investments in foreign aid save U.S. taxpayers billions because we are preventing famine, poverty, disease and war, rather than struggling with the aftermath on our own shores and around the globe. Our leadership in the world is achieved in large part through foreign aid. I was reminded of this recently while listening to Maryland’s Sen. Ben Cardin as he spoke at an event hosted by Devex in Washington, D.C., about the challenging landscape that today’s development organizations face. A true champion of U.S. foreign development assistance, Senator Cardin reminded me that America’s strength is in its ideals. Our generosity, empathy and tolerance, he said, demonstrate our leadership at its best. I couldn’t agree more. It’s why I decided to spend some of the first years of my professional life in Benin and South Africa working in education and basic community health. It’s also why today I am the managing director of Discovery Learning Alliance, a nonprofit that uses the power of media to transform education and improve lives in the developing world. I believe strongly in the tangible results and the values advanced through foreign aid. And at just 1 percent of our federal budget, I’d argue the wide-ranging returns are one of the best deals in Washington. This is a 1 percent we should all be fighting for. This Op-Ed was originally published in the Baltimore Sun on October 8, 2017. Tamela Noboa is managing director of Discovery Learning Alliance and a board member of Pact.